Vintage Clamp-On Brass Effect Buckle for belts 26mm wide. 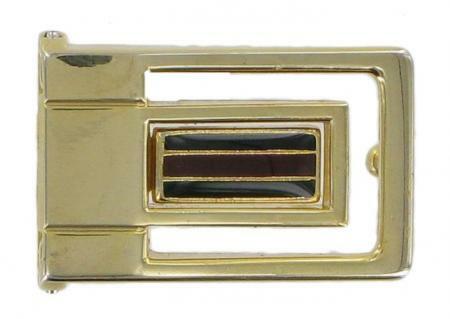 This is a brass finish buckle with black and burgundy detail. It is suitable for 26mm wide leather belts. This buckle is a real blast from the past. We believe these buckles were purchased by our saddler back in the 1980s.